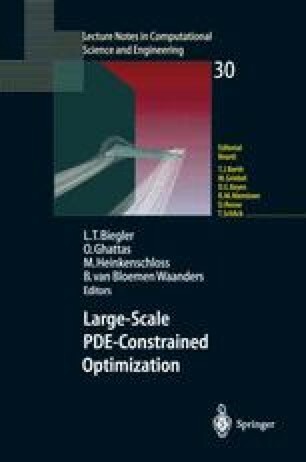 High-performance algorithms for PDE-constrained optimization often require application of operators and solution of systems of equations that are different from those used in a single solution of the PDE; consequently, exploration of a research idea entails startup costs for modification to the PDE solver. A software tool to enable rapid development of parallel codes for large-scale, complex PDEs on realistic problems would be a useful aid to research in this area. As part of Sandia’s research efforts in PDE-constrained optimization, we are developing Sundance, an environment in which a parallel PDE solver is accessed via a high-level problem description, using abstract concepts such as functions, operators, and regions. With this high-level problem description, it is possible to specify a variational formulation of a PDE and its discretization method in a small amount of user-level code. It is then straightforward to obtain operators such as Jacobians and Hessians for use in optimization algorithms.